For a Premium Ice Cream Experience. 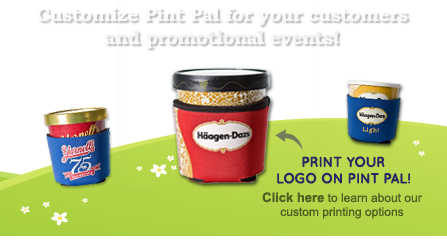 Do you indulge in super premium ice cream like Ben & Jerry's, Haagen-Dazs, Jeni's Splendid, and Steve's Ice Cream? Do you eat it straight from the pint? Then you're part of a unique breed of ice cream enthusiasts, and Pint Pal was created for you. 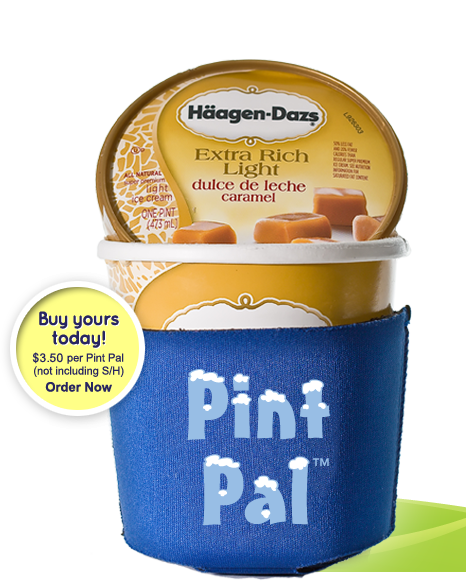 Pint Pal is the original ice cream cozy. It keeps ice cream cold and hard and hands warm and dry to give ice cream lovers like you the best possible straight from the pint experience. Pint Pal and Don't Hold the Cold are registered trademarks of JMB Creative Ideas, Inc. All rights reserved.